Maestro IV has built a reputation for making trap bangers and this one is no different. 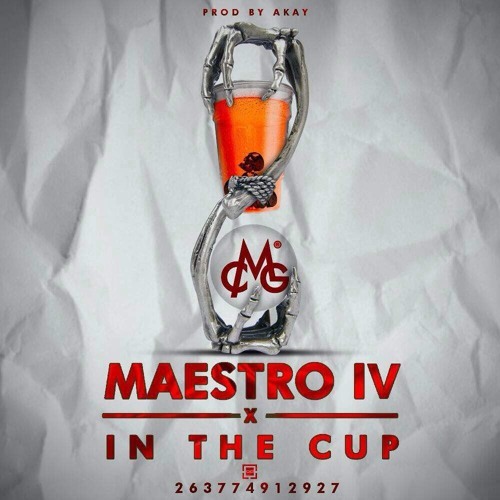 In The Cup, produced by AyKay is not your average turn-up record though. As life gets more difficult as we grow up and responsibilities start piling on us any momentary amnesia is welcomed. This is what In The Cup focuses on. Drowning your sorrows, if only for just a moment, lest you go insane. Whether this is just a single or part of a bigger project remains to be seen as Maestro has been putting a string of singles lately. I co-sign this as HEAT!!!!!!!!!!!!!!! !